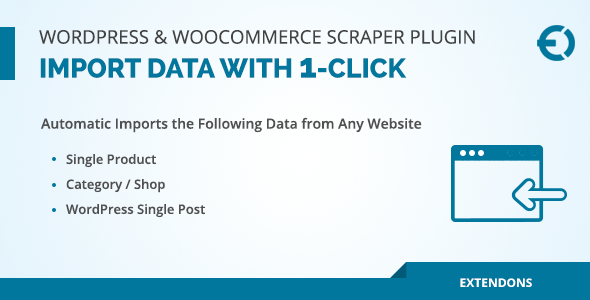 WordPress scraper plugin lets you import single product and catalog from any website. You can also import the single posts from any WordPress website. You can import the name, price, image, and description of products. This plugin makes easy for e-store owners to import the products in bulk rather than adding them one by one. It is compatible with both WordPress & WooCommerce.